As we nudge up on the end of January, I've promised myself to celebrate the new year February 1st. I mean, I went to a killer party on the Real New Year's Eve, but January buzzed by as I hustled through my work day and home to writing and design gigs. Things have been hectic. 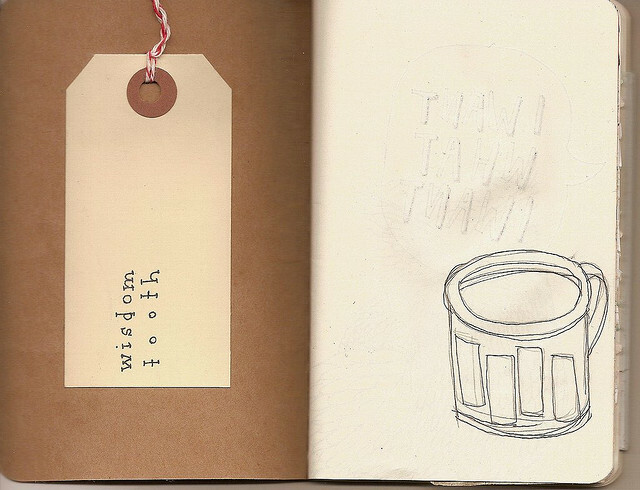 So during the next week I'll be recapping 2011 and telling you about what's new in 2012 at Wisdom Tooth HQ. Multimedia designer extraordinaire Jelsen Jargon hasn't shown in a gallery setting in years. He burst back onto the scene with clever and beautiful work at Repetition Repetition Repetition, which runs through January 2012. Curator Bradford Nordeen's roaming queer film night, Dirty Looks, combines contemporary and historical queer filmmakers as well as various other art-makers. Last year's program was hilarious, clever, tight, and never dull. Booklyn has been taken over by young artist and zine-maker Aimee Lusty. Named gallery director in 2011, Lusty brought zine work to the gallery walls and re-examined how we use print in our artistic practice. In its most recent issue, the print companion to the Occupy movement doubled as a poster to be pasted around the city. With good design and a practical purpose, OWSJ has reinvigorated the purpose of print media in political movements. Hartmann and Smith's creepy-cool imagery was completely appropriate for a one-night-in-late-summer-show. Their prints brought to the surface all the terrible feelings that seep from our pores and our brains in the dogged heat.